Introducing SkyBlew, a young BUZZING emcee who resides in Chapel Hill, North Carolina by way of Auburn, Alabama. He is rapidly becoming the hip-hop voice for a new generation with a NEW SOUND!!! His music is very positive and inspirational but it still gets the fans attention with infectious beats and lyrics. SkyBlew sounds like NOTHING out right now! Speaking from his life experiences such as: foster care, homelessness and etc, he uses his message in hopes to make a difference. He chose to rise above the dire circumstances and share his story. 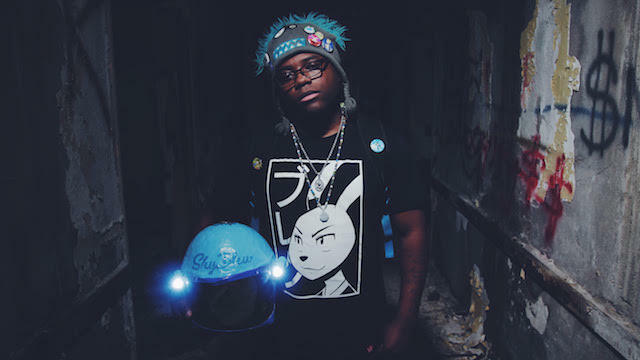 SkyBlew also, uniquely incorporates anime, cartoon and video game references/themes into his repertoire to create hip hop like you've never heard before! He doesn't want to put himself in a box, so he strays away from putting certain labels on his style. He simply titles it - Painting The SkyBlew!!! Most say he is a breath of fresh air actually! SkyBlew's music is about enjoying life, having fun and chasing Dreams! Although he is VERY UNDERRATED, this young man still perseveres and has built a following that reaches far beyond the borders of this state. Following the narrative "I Don't Rap, I Paint The SkyBlew!!!" He's the coolest nerd, you ever heard! SkyBlew's music is currently being used by the top anime company - FUNIMATION!!! SkyBlew is featured on some of the most notable websites in cyberspace such as: MTV, AXS TV, 2DopeBoyz, Afropunk, Inverse, Almost Nerdy, Impose Magazine, Earmilk, HotNewHipHop, Rapzilla, Nerd Reactor and countless others! SkyBlew has also, opened for countless MAJOR acts including: Lupe Fiasco, Kendrick Lamar, Curren$y, Flobots, Del The Funky Homosapien, Watsky & many more!! SkyBlew is destined for GREAT things! His exposure is growing exponentially on the regional, national, and international levels. With over MILLIONS of views on Youtube, he is painting the sky an elevated shade of BLEW!! His last 3 albums, which were released under Mega Ran's imprint - RandomBeats Music, debuted on the Bandcamp front page as BEST SELLERS, in the Hip-Hop category! SkyBlew was also nominated for the NCUMAS (North Carolina Underground Music Awards) 2012 Lyricist Award! His powerful music video/short film "Running in Place" won Best Music Video at the Rumschpringe International Short Film Festival, Great Lakes International Film Festival and more! He released multiple albums in South Korea that made it to their TOP 10 CHARTS! Also, he has a song on the album, "In Ya Mellow Tone 10 Anniversary Best" that made it to #1 ON JAPAN ITUNES CHARTS!!! The nominations continue to soar! Legendary performances are in the making... Appointed times appear, and with the state of Hip-Hop today, we need more from SkyBlew! FUNimation trailer w/ SkyBlew's music!! -Sword & Sorcery & Sarcasm fantasy, which includes the “CRIT!” webcomic series and The Linus Saga novels. 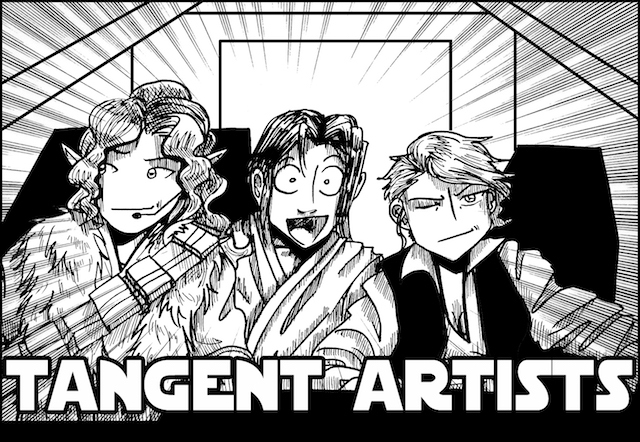 -The macabre comedy adventure webcomic Skeleton Crew, with its own RPG setting in development. Monica Marier: Script, pencils, ink, and color for Skeleton Crew; script and pencils for CRIT! ; In-house artist; lead writer for the Guild Guides. Follow her author page on Facebook! Rachael Hixon: Print-maven and colorist for CRIT! Kigacon is thrilled to welcome back Katsumi Cosplay! Katsumi Cosplay has been living the con scene since 2012. When she’s not cosplaying an original design, you can find her cosplaying from Persona 5, Overwatch, or her newest obsession: The Adventure Zone! With Katsumi Cosplay, each new build is bigger, better, and crazier! At Kigacon, you can find her running panels, coordinating the cosplay contest, and at her Vendors’ Hall booth. For more information on Katsumi, visit her Linktree. As a versatile wordsmith and experimental electronic producer, None Like Joshua has been dabbling through a diverse set of music genres and topics to rap about since 2009. The level of fame that he’s garnered with over 54 million Youtube views has stemmed from rapping about his favorite video game, anime, TV shows, and movies intertwined with heavy electronic music. His music has traveled from Zelda to Star Wars, Eminem to Linkin Park, Skrillex to Flux Pavilion, and politics to love over dubstep, trap, metal and other dynamic genres. NLJ’s lyrics and high energy is always complemented with music that inspires and hypes every listener. He’s made a name for himself with the support and collaborations from talented EDM producers, musical youtubers, and, of course, the tens of thousands of gamers, anime fans, and rap lovers who have shared one of his songs. 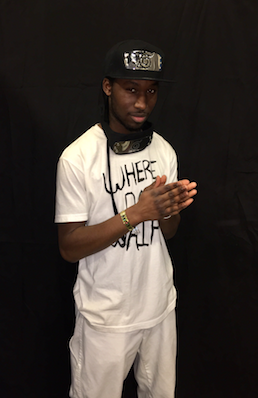 NLJ is taking over the internet with his music and EDM productions that anyone can dance and rock out to. According to FreshNewTracks, “he isn’t your average rapper. 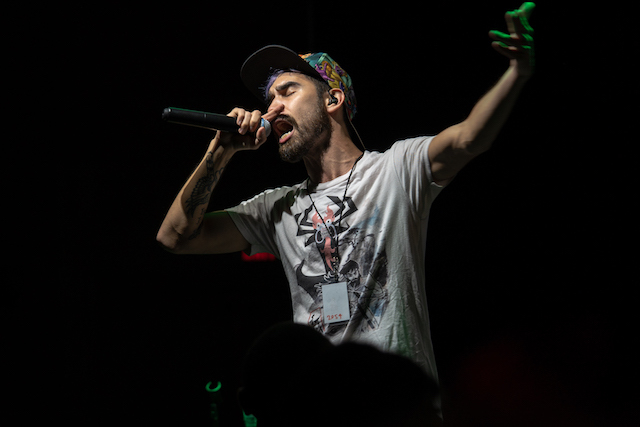 None Like Joshua comes in with a style like Mike Shinoda’s, but dreams further than the stars rapping over some of the hottest beats.” He’s also released a rap metal/nerdcore album, L33T, with the French band, Smash Hit Combo, which reached #1 on iTunes metal for France. He’s even performed in various cities and countries during his career; from Washington to Texas, Atlanta to New Orleans, and even across Europe in Amsterdam and London. With an upcoming EP, epic remixes, covers, and collabs on the way, NLJ is sure to give a show you’ll never forget. You can find his music here! 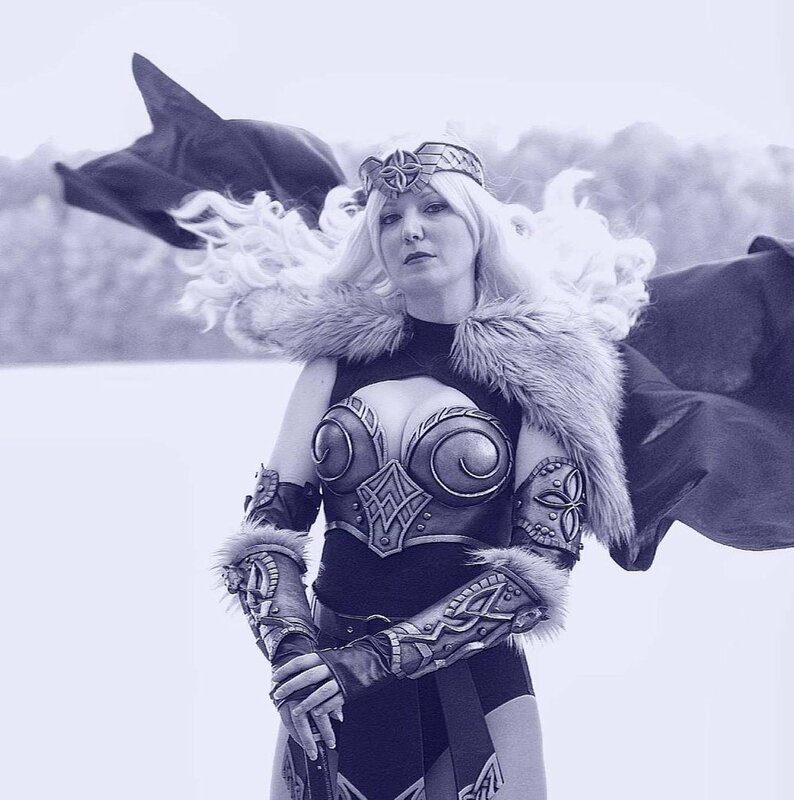 Raksmey Prak grew up in Lancaster, Pennsylvania and has been a cosplayer since 2010. She loves designing, crafting, and making cosplays, and her love for attending anime conventions continues to grow. She has since then, set her alias name to AutumnVirus. Not only is she a cosplayer, but she is also a model and a twitch streamer. Gaming is a big part of her life, and she is currently trying to make cosplay, modeling, and gaming/streaming a full time career. Cosplay and gaming aren't just her hobbies, they're her passion and dream. Chaos Network is a 23 year old "Otaku" Rapper from the North Side of Chicago that aims to bring the world together through Otaku and Anime culture. He makes Anime and Otaku Rap music, Rap music about and/or inspired by Anime and Otaku Culture. His ultimate goal is to bridge these cultures together. Brandon Winckler is a long-time anime fan and overall nerd who grew up in Chesapeake, VA. In 2016 he gathered his belongings and went on the journey of becoming a professional voice actor. Now living in Los Angeles, Brandon spends most of his time working professionally in the world of Anime and Video Game Voiceover. 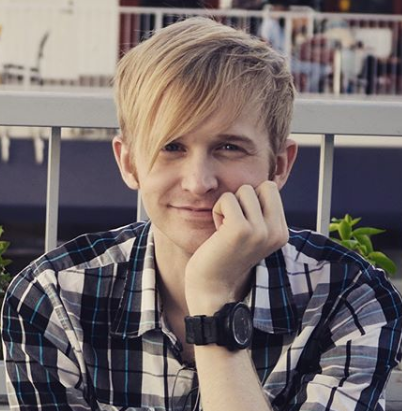 Brandon has provided voices for many English dubbed anime and films including roles such as Eugeo in Sword Art Online: Alicization, Theo Cornaro in Record of Grancrest War, Lui Shirosagi in Beyblade, Jason in the Mattel adaptation of Turning Mecard, and more that he can’t even talk about yet! He also voices long time Marvel villain, Green Goblin in Marvel Avengers Academy and has also provided voices in several web series such as Aphmau, God’s School, and more! Kigacon 2019 is gonna be smokin’, but there’s no smoke without fire! Please welcome cosplay guest Casual Assassin Cosplay! Casual Assassin is best known for his viral Preston Garvey cosplay, done alongside Painkiller Cosplay (Jay Philip). 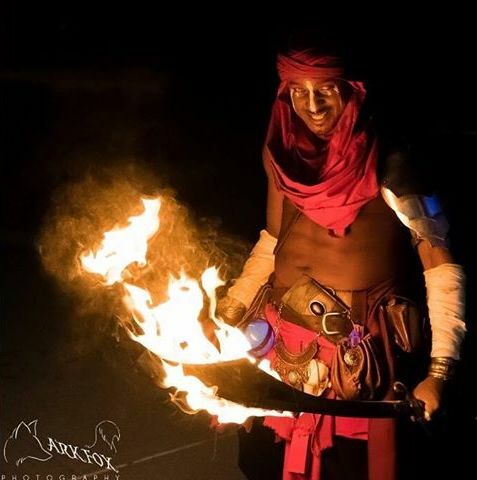 A self-proclaimed “pyromaniac”, Casual Assassin has found ways to implement his love of fire into cosplay — in the form of dual flaming scimitars. He has also been known to ignite his hands in flames (Talk about playing with fire!). The troupe has since evolved to offer stand up and improv comedy shows (both 18+ and family-friendly), as well as an assortment of workshops and hilarious panels! 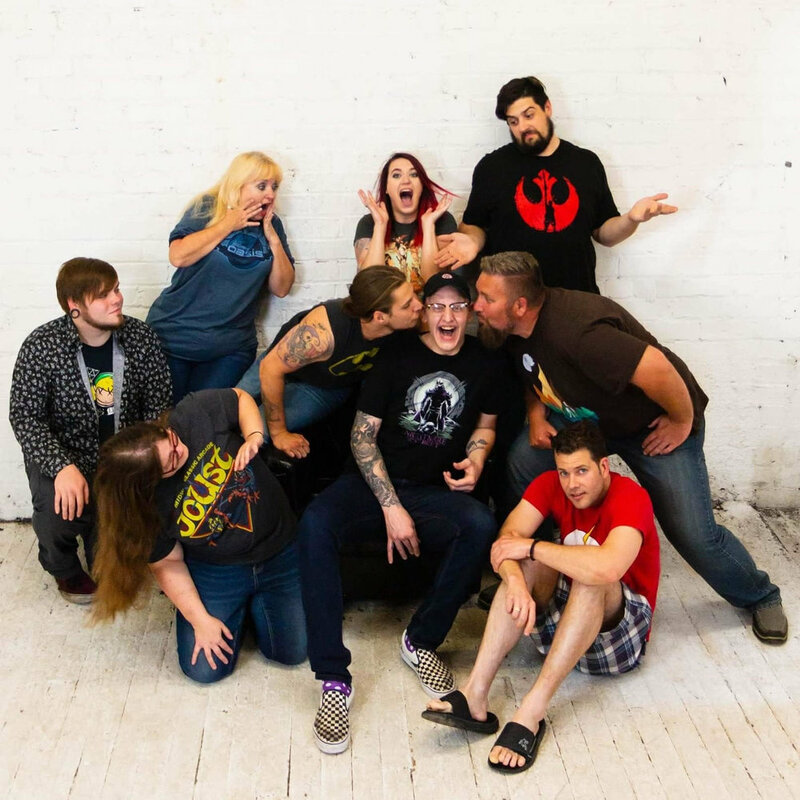 SUYP has had the honor of performing at a multitude of conventions, including Anime Central, Cedar Rapids Comic Con, Gen Con, Anime Milwaukee, and Anime Iowa.